How much can you save on a short sale in Eagle Lake, FL? The short sale process in Eagle Lake, FL, for a buyer can be very profitable if the situation includes a motivated seller and a cooperative lender. Find the best short sale homes and bank-approved listings available in Eagle Lake, FL, at Foreclosure.com today for as much as 75% off market value. 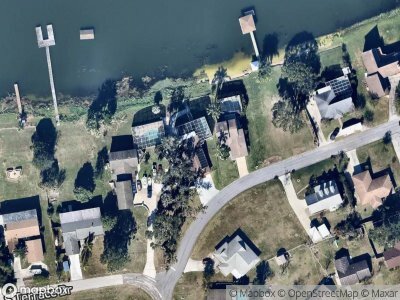 There are currently 1 short sale homes in Eagle Lake, FL, available for potential sale right now. Get the most current list of short sale listings in Eagle Lake, FL — and the information and tools to buy them fast — at Foreclosure.com. Eagle Lake is located at 27°58′47″N 81°45′17″W. Eagle Lake is located within the Central Florida Highlands area of the Atlantic coastal plain, with a terrain consisting of flatland interspersed with gently rolling hills. According to the United States Census Bureau, the city has a total area of 1.4 square miles (3.6 km2), of which 1.4 square miles (3.6 km2) is land and 0.1 square miles (0.26 km2) (3.50%) is water. Eagle Lake is located in the humid subtropical zone, as designated by (Köppen climate classification: Cfa). As of the census of 2000, there were 2,496 people, 879 households, and 637 families residing in the city. The population density was 1,800.5 inhabitants per square mile (693.3/km²). There were 964 housing units at an average density of 695.4 per square mile (267.8/km²). The racial makeup of the city was 82.09% White, 4.73% African American, 0.68% Native American, 0.24% Asian, 9.86% from other races, and 2.40% from two or more races. Hispanic or Latino of any race were 21.47% of the population. There are currently 1 red-hot tax lien listings in Eagle Lake, FL.